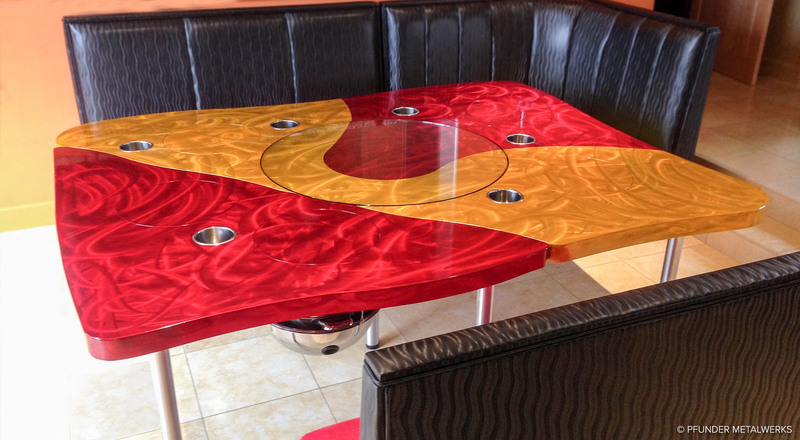 This one-of-a-kind table features five hot pot stations, a glass lazy susan, and built-in utensil holders. 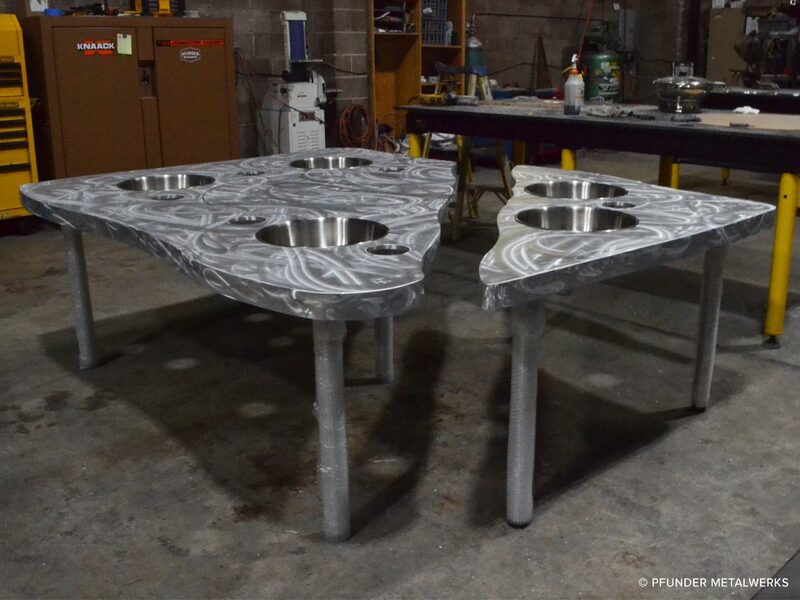 The table is built in two separate pieces which allows the possibility for a separate “kids’ table.” Each hot pot station has a cover plate for when not in use. 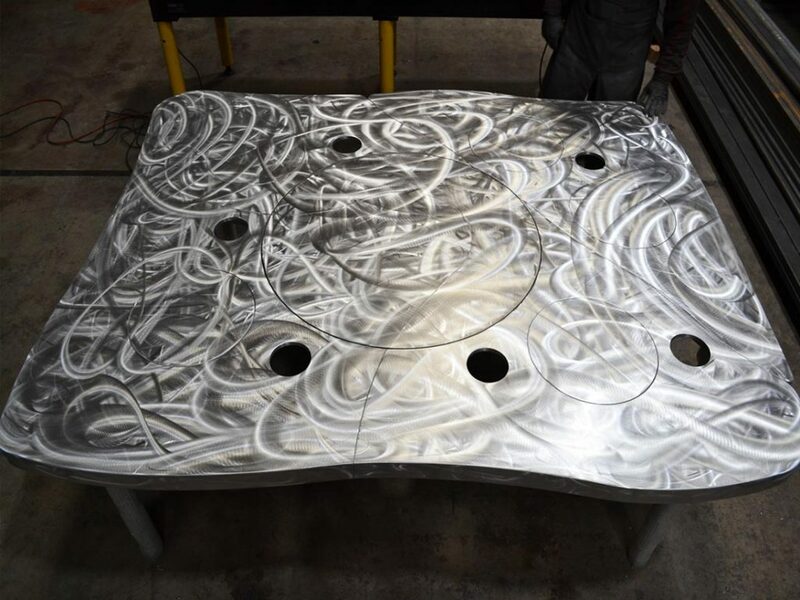 The handcrafted aluminum table has a translucent powder coating, which reveals the decorative finish underneath. This was an exciting build and was designed and fabricated to the client’s desires.